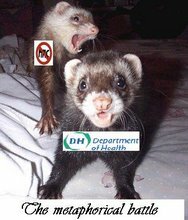 "There are of course those who see the extension of training as a cynical ploy by the general practice establishment to extend the pool of sub-GPs (and so cheap GPs) available for exploitation by the establishment. While this may indeed happen as an unwelcome side-effect, Dr No suspects the primary motive of those who wish to extend GP training is to enhance professional standing and status, and so distance the profession from its trade roots; and in this objective, Dr No believes the College proposals will fail." I am not sure Dr No is right on this, however in the comments it is abundantly clear that there are major problems with medical training that continue to be ignored by the powers that be. Medical training has been taken over by educationalists in Ivory towers, many of whom reside at the GMC, the focus is now barmy, it is all about paperwork and reflective practise. There is no decent regulation of training. There is no focus on hours and experience. It is a joke. 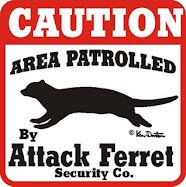 The problem is that this situation is getting worse, there is a huge disconnect between those involved in training on the ground and those in the Ivory towers who are telling them what to do. A key part of John Tooke's review talked about this disconnect and the lack of involvement of those on the ground in running training. The GMC is not democratic, the Royal Colleges are not democratic, the BMA is not democratic, and all this combines to result in the continued disastrous reform of training. It is nothing but a shambles. Hallelujah! I was just stalking yesterday, waxing goddam nostalgic about the good ol' days when we both used to blog together under the stern but grandfatherly gaze of NHS Blog Doctor, and I thought you'd gone up to that great blog carnival in the sky. And now you're back! Please do stay back. About your actual post: I dropped my views on the matter over at Dr No's blog, peppered with some words very unsuitable for young children and elderly grandmothers. It is a blooming shame. I'll be keeping you on my blogroll. Do stick around old chap. Just haven't had the time of late to do much, will try to do the odd bit here and there! The fancier is a frontline worker in the NHS and he is not a fan of the prescribed government reform. As you can see he is named above as per GMC guidance. 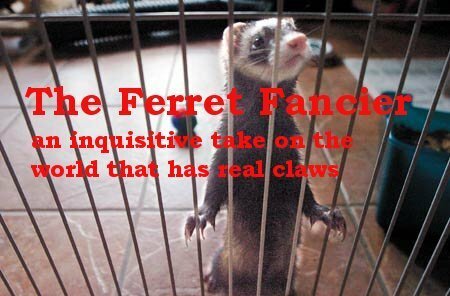 The views expressed of the ferret fancier are those of the author and no one else. They most certainly do not represent NHS policy. If you have any complaints about the content or opinion contained within then please email the fancier who will be happy to respond personally to address these. Other bloggers are welcome to extract from what they find on these pages, but please reference back from whence it came. If anyone wants to extract bits for other non-blogging purposes then please get in touch, as long as you are not a toilet roll manufacturer.